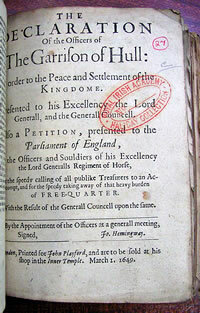 In 1649 Oliver Cromwell came to Ireland and imposed his will on the people. 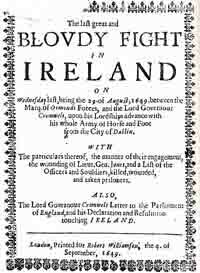 He was responsible for atrocities at towns such as Drogheda. 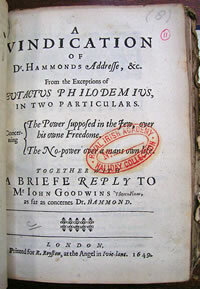 The accounts pictured show the sort of English which was being used at that time. To help you to understand them, you need to know that most of the letter “s” appears like a “f” without the horizontal stroke.